Miami – August 26, 2011 – Remember the frozen iguanas falling from trees during Florida’s 2010 record-breaking cold snap? Well, a new study led by scientists at the University of Miami (UM) Rosenstiel School of Marine and Atmospheric Science shows that Florida’s corals also dropped in numbers due to the bitter cold ocean conditions. The chilly January temperatures caused the most catastrophic loss of corals within the Florida Reef Tract, which spans 160 miles (260 kilometers) from Miami to the Dry Tortugas and is the only living barrier reef in the continental U.S. The Florida Reef Resilience team, a rapid-response research group comprised of scientists and resource managers, conducted a month-long survey of 76 reefs sites for Miami to Key West during and shortly after the unusually cold weather. The research team compared the mortality rates of corals from the cold event to warm-water events, such as the highly publicized bleaching event in 2005, and concluded that cold-water events cause more widespread morality than warm-water events. The results were published in the August 2011 issue of the journal PLOS One. The study found coral mortality reached over 40-percent for several important reef-building species and that smaller size colonies in shallow and near-shore coral reefs were hardest hit. This is in contrast to a four-percent decline during warm-water events that typically impact larger size colonies. Coral species that had previously proven tolerant to high temperatures were most affected by the cold-water event. “This was the single worst event on record for Florida corals,” said Lirman. “The 2010 cold-water anomaly not only caused widespread coral mortality but also reversed prior resistance and resilience patterns that will take decades to recover,” the authors conclude. Ice-cold Arctic air swept into Florida in early January 2010, plummeting air temperatures to an all-time low of 30ºF (1ºC) and dropping ocean temperatures to a chilly 51ºF (11ºC). Florida’s reefs are located in a marginal environment at the northernmost limit for coral development. Corals have adapted to a specific temperature range and are typically not found in water below 60ºF (16ºC). Changes in climate patterns as well as others impacts, such as coastal development, pollution, over-fishing and disease have put added stress on coral reefs worldwide. The authors cite the need to improve ecosystem resilience through reef restoration, pollution reduction efforts and the use of management tools, such as marine protected areas, in order for coral reefs to survive future large-scale disturbances. “We can’t protect corals from such an extreme event but we can mitigate other stresses to help them recover,” said Lirman. 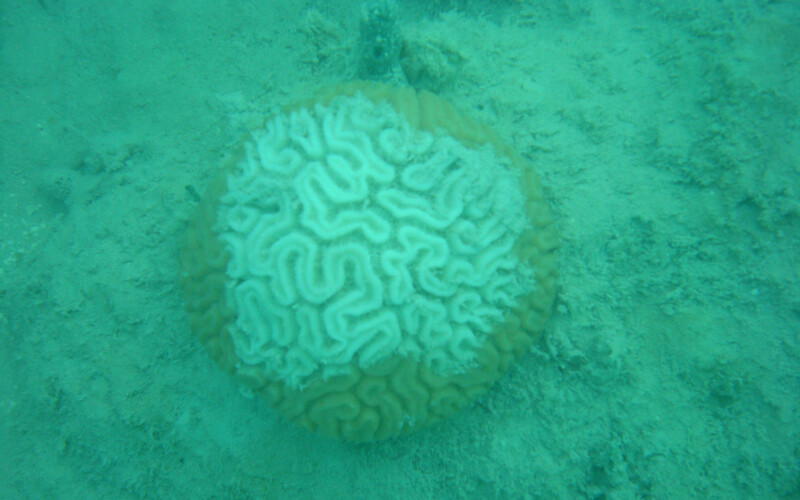 The paper, titled “Severe 2010 Cold-Water Event Caused Unprecedented Mortality to Corals of the Florida Reef Tract and Reversed Previous Survivorship Patterns,” was supported by the NOAA Coral Reef Conservation Program, The Nature Conservancy, and the ARRA program.